Card inspired by US Marines formal blue uniform. 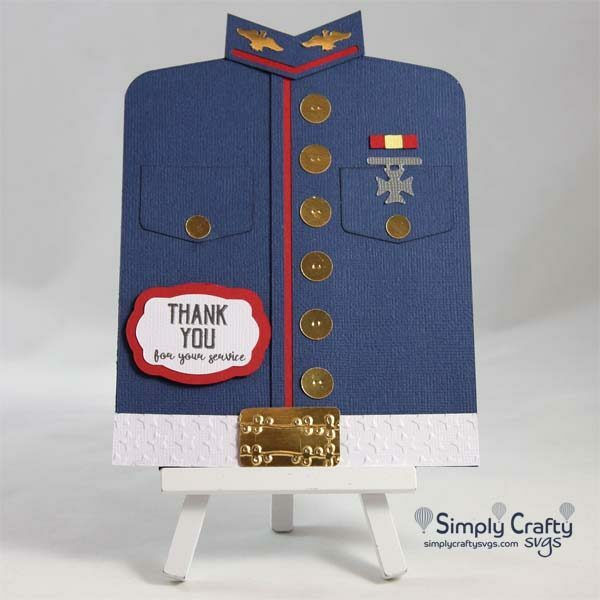 Use this Military Blues Uniform Card SVG File to make a card for a military friend, family or veteran of the Marines or other armed services. 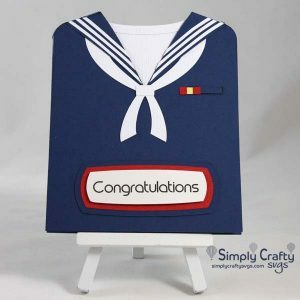 Card can be used to congratulate a Marines boot camp graduate, a military retirement or other relevant occasion. Included is a layered SVG with “Thanks You for your service” to use as a printable. There is also a blank word tag to add your own sentiment. Finished card size is 5” x 6.7” and will fit in standard A7 envelope. If you do not have any A7 envelopes, make one with the FREE Basic Envelope Set.